My friend Kaine took this incredibly beautiful photo on his recent trip to Tromsø. 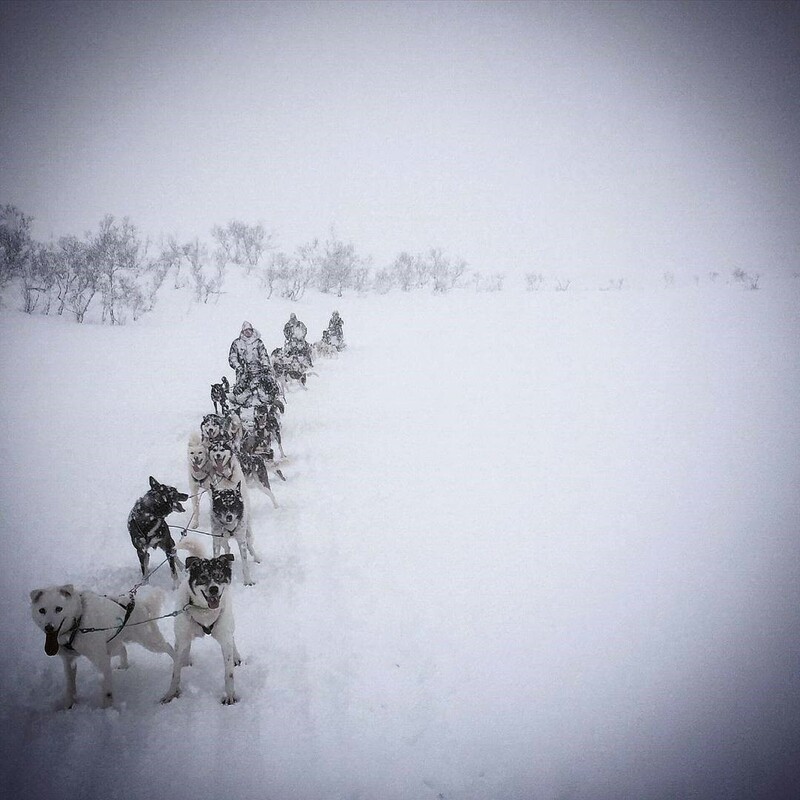 The idea of clutching onto a sled, yelling MUSH MUSH while these amazingly beautiful dogs drag me across a wintry landscape? YES PLEASE! Especially if the snow is going to flick up into my face and my nostril hairs are going to freeze. I could definitely go for that right now. A quick check of the current weather shows that it’s currently -1C in Tromsø at this very minute. Sounds like heaven. As I’ve just popped a wet tea towel into the freezer so it’s ready for when I go to bed shortly, there is a certain appeal in sleeping on a block of ice, in an ice room in an ice hotel. The thought of rugging up in (faux) fur lined jackets and drinking steaming hot cups of whatever you drink in this sort of climate (I don’t know – eggnog?) is positively tantalising. And furthermore, it’s a thoroughly delightful 1C right now. It’s a hotel. Made of ice. Take me now. Shuffling along the ice with a bunch of penguins? Bring it on. In fact, right now, I think I’d quite like to be on one of those ice breakers that get stuck in the pack ice for a few weeks (as long as the gin doesn’t run out and we can play Cards Against Humanity until all hours of the night!). There’s something very alluring about a trip to the South Pole, mainly that the temperature at Amundsen-Scott South Pole Station is currently -42C. There’s a certain symmetry about that given that it was 42C here today. I can’t imagine what it would be like to be 84 degrees colder. It doesn’t even sound possible. Look how much fun these penguins are having. You know why? Because they’re NOT HOT! Well, I can dream can’t I? In reality, I’ll continue to sweat profusely and lie inertly on the couch trying to catch the emphysemic breeze from a slow ceiling fan. The wet tea towels and icy cold beverages and frozen watermelon will have to do their best for the time being. Seriously, have you tried frozen watermelon? It’s pretty damn good! And if you’ve got a freezing cold suggestion for me, I’d love to know about it, purely for hot weather day dreaming purposes!